Switching to the new WLTP fuel economy test cycle could mitigate drivers’ ongoing migration to SUVs due to the increased tax burden that such vehicles could face compared to traditional bodystyles. So says Kwik Fit, which is expecting the new more ‘real-world’ representative test cycle to quickly affect buying habits for new vehicles. Although the switch is expected to impact most on smaller cars and heavily downsized engines, Kwik Fit has said it could see demand for SUVs lessen due to a possible major increase in Company Car Tax and Vehicle Excise Duty costs. Fern also said WLTP – which takes into account all available options – will also impact on other areas in vehicle selection, including tyres: “Wheel rim size and width of a tyre have a direct correlation on a vehicle’s rolling resistance and therefore CO2 emissions,” he explained. 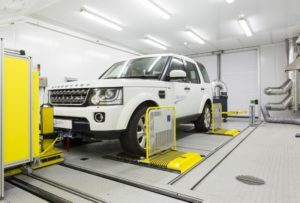 The Worldwide harmonised Light Vehicles Test Procedure (WLTP) came into force for all newly-tested vehicles last year, and includes higher-speed, higher-load driving to offer more realistic data than the New European Drive Cycle (NEDC) it replaces, bringing increased CO2 figures. Manufacturers have until September this year to test all existing models – except those on run-out – and are now issuing computer-generated ‘NEDC Correlated’ data, which are derived from the new WLTP figures using a European Commission-produced mathematical tool dubbed CO2MPAS. These figures are also often higher than those they replace; research from JATO, published in a white paper last year, showed the first NEDC Correlated figures were up to 18% higher than the genuine NEDC fuel economy and CO2 emissions. More recently, data from Cap HPI has indicated that diesel and plug-in hybrid vehicles are recording the biggest rises in CO2 emissions as a result of the new protocol – in response Cap has said that drivers are expected to start shifting away from models with large CO2 and BiK increases.